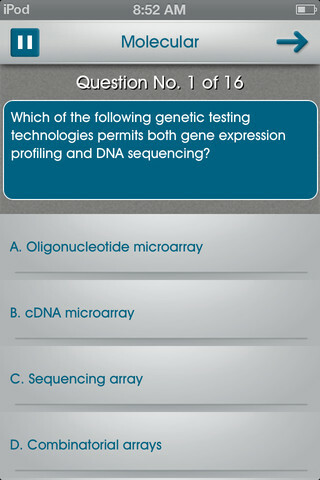 The Clinical Pathology Question bank is an iPhone and iPad app developed by Board Vitals, LLC. This app is an attractive, easy to use board review app designed for physicians preparing for the clinical pathology boards. Detailed performance feedback and feedback on why a particular option is the best answer is provided, making it a great way to prepare for the test. As a hospitalist, I am not able to comment on how applicable the content is for the clinical pathology boards, but the answers are appropriate when compared to UpToDate. The Clinical Pathology Question Bank costs $29.99. 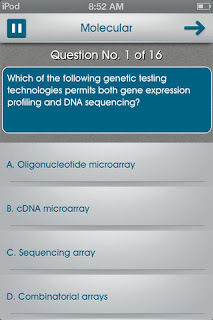 A Lite version of the Clinical Pathology Question Bank is also available.